Symptom finder - The causes of clotting disorders. Clotting disorders are divided into acquired clotting disorder and congenital clotting disorder. Congenital clotting disorder is presented with prolonged loss of blood while acquired clotting disorder typically only discover while performing coagulation testing. 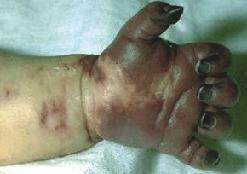 Congenital clotting disorder is caused by Von Willebrand’s disease and hemophilia. Acquired clotting disorder is caused by disseminated intravascular coagulation, liver disease, massive transfusion , drugs ( thrombolytic therapy, warfarin and heparin), autoimmune disease such as systemic lupus erythematosus and vitamin K deficiency due to malabsorption of fat, obstructive jaundice and hemorrhagic disease of the newborn. Prolonged loss of blood may be due to abnormality in the function of the platelet in normal count of platelet. Certain cases of clotting disorders are iatrogenic in nature. Side effect of any thrombolytic agent may lead to severe derangement of the clotting process. Warfarin and heparin may produce an anticoagulation side effect. Clotting disorders are also associated with massive blood transfusion within 24 hours. Dilution will occur as a result of massive transfusion. Immaturity of the neonatal liver may lead to a deficiency in the synthesis of vitamin K. That may lead to bleeding in the first few days of life. Excessive loss of blood during any surgical procedure such as circumcision or injuries in a younger patient may lead to hemophilia. other features such as painful hemarthroses and muscle hematoma are the common accompanying features. Any disease of the liver may precipitating any clotting abnormalities as clotting factors are produced from the liver. Certain condition such as SLE may lead to production of antibody ( lupus anticoagulant ) that in vivo will predispose to thrombosis while in vitro may prolonged clotting. Small bowel disease, pancreatic disorders or obstructive jaundice may impair absorption of the fat which decrease the synthesis of clotting factors ( Clotting factors II, VII , IX and X are produced by vitamin K which is fat soluble vitamin. What is disseminated intravascular coagulation or DIC ? DIC is caused by widespread consumption of platelets and clotting factors that lead to serious case of coagulation disturbance. Burns, obstetric complications, malignancy and severe infection may lead to disseminated intravascular coagulation. Look for any signs of liver disease. Warfarin overdose is characterized by hematoma and necrosis of the skin. Pseudo tumors and osteoarthritis may occur due to repeated hemorrhage. Clotting screen will focus on prothrombin time ( PT), activated partial thromboplastin time ( APTT) and thrombin time (TT). In disseminated intravascular coagulation, there will be an increase in the thrombin time (TT), increased in activated partial thromboplastin time ( APTT) and increase in prothrombin time (PT). 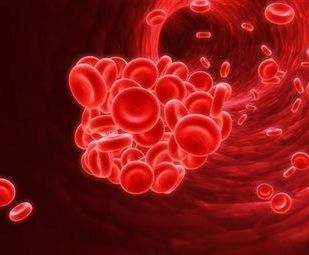 In warfarin intake or vitamin K deficiency patient, there will be an increase in prothrombin time (PT), an increase in activated partial thromboplastin time ( APTT) and normal thrombin time ( TT). Hemophilia is presented with normal prothrombin tIme (PT), increase in activated partial thromboplastin time ( APTT) and normal thrombin time ( TT). Liver disease is presented with increased in prothrombin time (PT), increased activated partial thromboplastin time ( APTT) and normal thrombin time (TT). Heparin intake may present with raised or normal thrombin time (TT) , raised activated partial thromboplastin time ( APTT) and increase in thrombin time ( TT). Von Willebrand’s disease may present with raised activated partial thromboplastin time ( APTT) but normal prothrombin time ( PT) and normal thrombin time (TT). Other investigations are full blood count which may reveal abnormal platelet function or low platelet count that leads to prolonged bleeding time with normal clotting. Comparison of bleeding time is important. Prolonged bleeding time is associated with platelet disorders while normal bleeding time is due to primary clotting disorder. Patient who suffer from DIC may present with increase in D- dimers ( fibrin degradation products ) and low serum fibrinogen and platelet count. Von Willebrand’s disease, hemophilia A and hemophilia B are differentiated by using the clotting factor assays. Hemophilia A is characterized by low level of factor VIII. Hemophilia B is characterized by low level of factor IX. Von Willebrand’s disease is characterized by low level of Von Willebrand factor, low level of factor VIII and prolonged bleeding time.